Natasha Couture is one-stop destination for your requirement of fashionable Indian wear, whether it be colorful Sarees, saree blouses, trendy Salwar suits or dapper Kurtis. 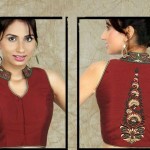 Natasha couture offers the delivery for Sarees, Lehengas, Kurtis,Salwar Kameez, Rangoli Cotton Salwar Kameez in the worldwide. These dresses are very formal for Pakistani and Indian women to wear in party, eid, holy, Christmas, valentine day, basant or any other wedding festivals. In this Blouse collection optimal silk will ensure longer and lustrous life of the saree dress and so these Natasha couture dresses are recommended to buy for party wear.